us at West Main Auto Sales where we have the widest selection of quality pre-owned vehicles to choose from. Here at West Main Auto Sales, we provide you with "after the sale" service. We have a full service department with a knowledgeable staff to help keep you on the road. Most importantly, we NEVER sell your account. 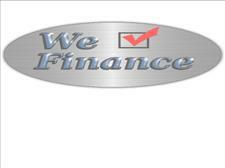 Here at West Main Auto Sales, you are NEVER just an account number..... You are our friend! Lets not forget that we do NOT check credit! Your payroll stub, your down payment and your handshake is enough for us.